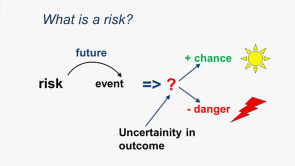 Risk Management in International Projects | Try for Free! Learn how to work on an international scale! To operate on a global scale fascinates, frustrates and inspires in equal measure. Bigger market opportunities are attractive and become – even for smaller and medium-sized businesses – more and more important. However, the relations are on a different scale and these different conditions are often ignored or underestimated. In this training series you will learn how to handle opportunities and risks to succeed with your international project. The experienced lecturer Simone Hoferer will guide you through the course with a lot of examples to explain the characteristics of international projects. Simone Hoferer ist systemischer Business Coach, Trainerin und Moderatorin. Ihre Coachings und Trainings im Businessbereich sind aus der Praxis für die Praxis: Simone Hoferer war, als staatl. geprüfte Innenraum- und Möbelgestalterin, langjährig als Projektmanagerin und Teamleiterin tätig und hat als Kalkulatorin hochwertige Innenausbauprojekte in über 30 Ländern abgewickelt und verantwortlich betreut. Im Iran hat Sie die Designabteilung einer Möbelfertigung aufgebaut und geleitet. Bereits während ihrer Gesellenzeit zur Schreinerin zog es sie ins Ausland und so arbeitete sie ein Jahr lang in Jasper, Indiana in den USA in der Qualitätssicherung einer Möbelfabrik für Hotelmöbel. Simone Hoferer is a system. Business Coach, trainer and moderator. Her coachings and trainings in business division are made from professional for professionals: Simone Hoferer as Master craftsman in cabinet making, was Project manager and supervisor for the realisation of projects in more than 30 countries. In Iran she built-on and managed the design department of a furniture fabrication. Already during her journeyman's years of service as a carpenter she was attracted to foreign countries. So she worked in Jasper, Indiana (USA) in the quality management of a furniture fabrication for one year.